“Google Cloud Connect for Microsoft Office brings collaborative multi-person editing to the familiar Microsoft Office experience. You can share, backup, and simultaneously edit Microsoft Word, PowerPoint, and Excel documents with coworkers,” explains Google. The software works with Microsoft Office 2003, Office 2007 and Office 2010. 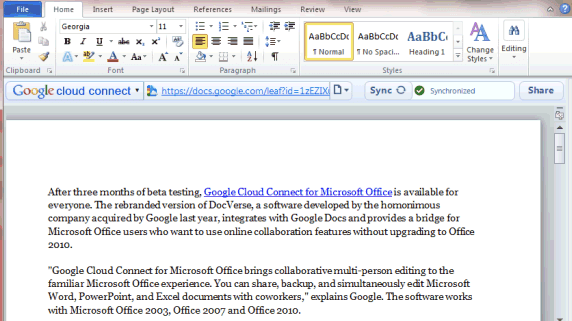 – Simultaneous editing for Word, PowerPoint and Excel files when using Microsoft Office. 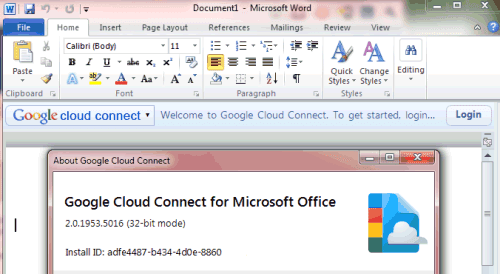 – Google Docs sharing URLs for each Microsoft Office file. – Revision history for Microsoft Office files, stored in Google Docs. – Offline editing with smart synchronization of offline changes. – No Microsoft Office upgrade or SharePoint® deployment required. – Make sure your system meets the system requirements for the plugin. 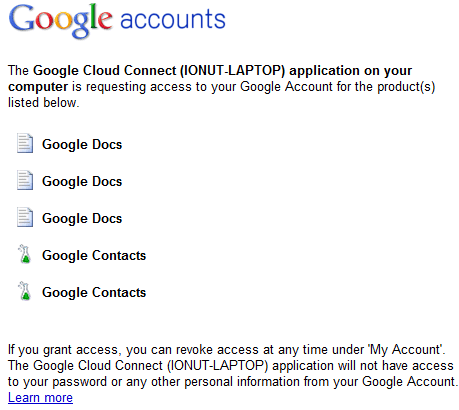 Google Cloud Connect for Microsoft Office supports Microsoft Office 2003, Office 2007, or Office 2010. 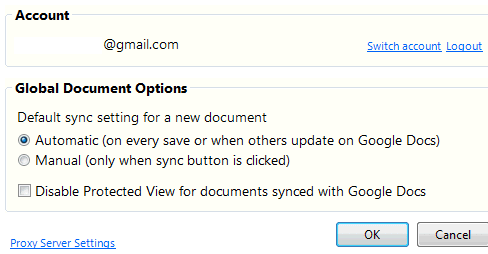 – Ensure that Google Docs is an activated service in your Google Apps control panel. – Allow users to install the plugin themselves or distribute it on your network using an .msi file.